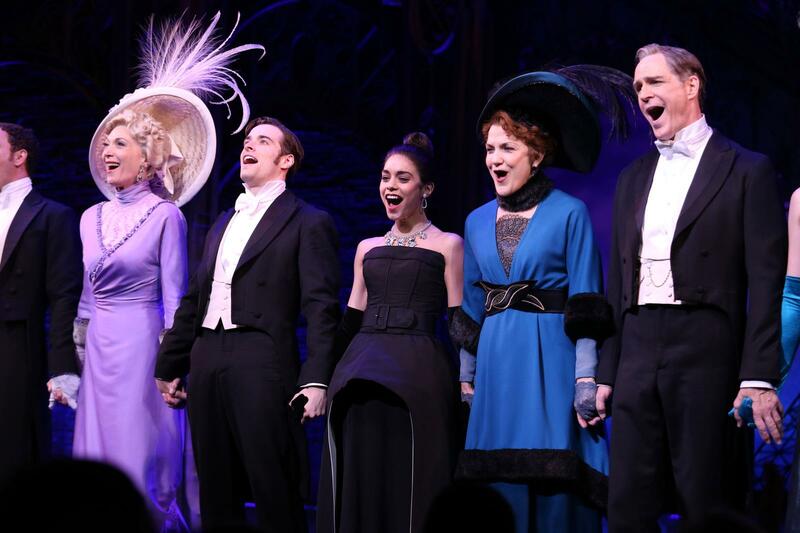 Photo Associated Press: From left, Dee Hoty, Corey Cott, Vanessa Hudgens, Victoria Clark and Howard McGillin appear on stage at the Broadway opening night curtain call of “Gigi” at the Neil Simon Theatre on Wednesday, April 8, 2015, in New York. Hollywood star, Vanessa Hudgens is taking over Broadway. The 26 year old star know for her breakout role in the immensely popular High School Musical trilogy is playing the lead in her first Broadway production as Gigi. She has very large shoes to fill as both Audrey Hepburn and Leslie Caron sparkled in this role, and Vanessa is bringing it to a new generation. The reviews are in and for the most part the critics are impressed with Hudgens’ performance if not with the whole production. The USA Today‘s review praises Hudgens, stating that despite “over-enunciating her lines, does perky and elegant with equal poise”. The New York Times however is less flattering stating that her performance is emotionally vacant, and that despite her high energy performance it falls flat when it comes to showcasing her vulnerability. Variety called the production an ill-conceived adaptation, but praises the ornamental art-nouveau sets. Yet audiences are embracing the classic, and are delighted by Hudgens’ bubbly performance. The show has beautiful costumes and set design, the unforgettable songs of Lerner and Lowe including “Thank Heaven For Little Girls,” “I Remember It Well” set against the charming backdrop of 20th Century La Belle Epoque Paris romance, fashion and glamour. Who will Challenge Rory McIlroy this Year?